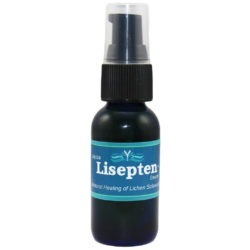 Lisepten™ , was developed for people looking for a more natural approach to healing the symptoms of Lichen Sclerosus (LS). It is the only natural product developed specifically for the symptoms of lichen sclerosus. 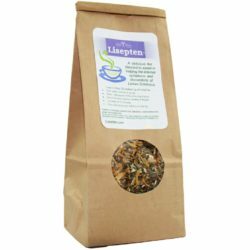 The unique blend of herbs were chosen to provide an effective, natural method to treat skin irritations, wounds, itch, and other discomforts related to LS. Comes in a 2 oz jar. 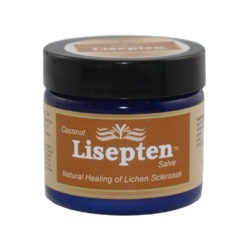 The only 100% natural product that was developed specifically for Lichen Sclerosus, Lisepten™ was developed for people looking for a more natural approach to healing the symptoms of Lichen Sclerosus (LS), also referred to as white spot disease. 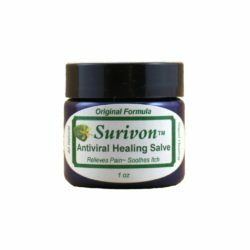 This unique compound of herbs and other healing ingredients has proven itself as an effective, natural method to treat skin irritations, wounds, itch, and other discomforts related to LS. Lichen Sclerosus is a skin condition that creates a discoloration of the skin. The affected skin tends to become whitish and then can become patchy. The skin, over time, came become thicker in the affected area. If left untreated, lichen can lead to other complications. Most people need some form of treatment. 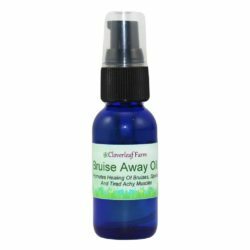 The herbs are cold infused into almond, apricot, and sesame oils, absorbing the healing benefits of the herbs. Beeswax and 100% pure lavender essential oil is added. Comfrey, calendula, red clover, lavender, plantain, chickweed, and witch hazel herbs in apricot, almond, and sesame oils, beeswax, lavender essential oil. Suffered from LS for years. Hated to use steroids as they cause other health issues. This was the ONLY natural thing that helped. Symptom free for years, now. Thank you Cloverleaf Farm. If you suffer from LS, there comes a point where you will try anything. Please try this before trying the other methods, or if like me you have already tried everything else. All I know is it worked for me. Fantastic for dry winter skin too, I have even used it under makeup. 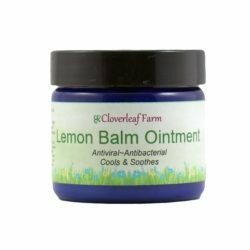 Amazing healing and soothing balm. Since using this my skin has really improved and been more manageable. I use it every day to keep flare ups under management. Great cream about to buy more. I, too, have tried prescriptions to improve symptoms of LS. I prefer a more natural way of healing over prescription meds for everything. What a find this was!!! 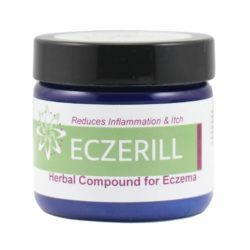 Not only has it improved my LS symptoms, but I’ve used it on other parts of my skin to heal cuts, etc. 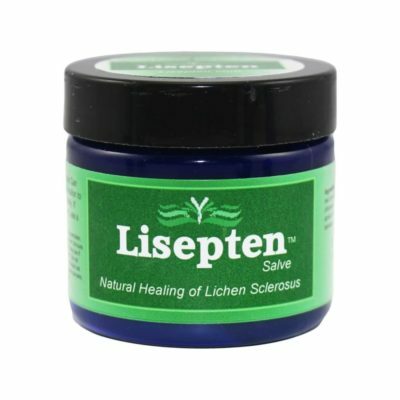 I never want to be without Lisepten!